Scott Niven - Author: My blog received two awards! 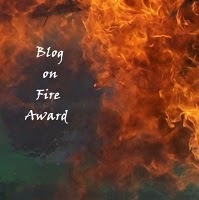 My blog received two awards! Wow, my blog won two awards in 24 hours! 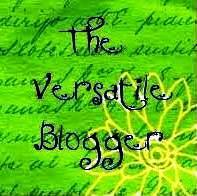 The Versatile Blogger Award was bequeathed to me from Jacquelyn Smith over at Wayward Scribe, and the Blog on Fire Award was bequeathed to me from Brandy Hoskins over at The Pen is My Sword. Thanks to you both! I believe Coke is WAY better than Pepsi. A photo I took of my son standing beneath a pier won a Rand McNally Road Atlas photo contest. The photo was featured in that year's Rand McNally Road Atlas, and I also received a year's supply of Fuji Film. I grew up in Monroe, North Carolina. My first published story was in the now defunct Murderous Intent magazine. I've run two half-marathons, but now primarly run 5ks. I could probably eat pizza 7 days a week and be happy.